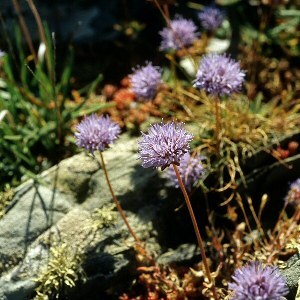 A scabious-like plant (sometimes called sheep's-bit scabious) but not related to true scabiouses such as devil's-bit. 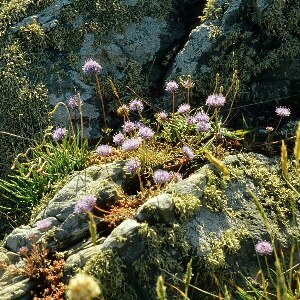 It mainly occurs on rocks around the coastal areas of Northern Ireland and in the mountain districts of the east of the Province. All names: Jasione montana L.